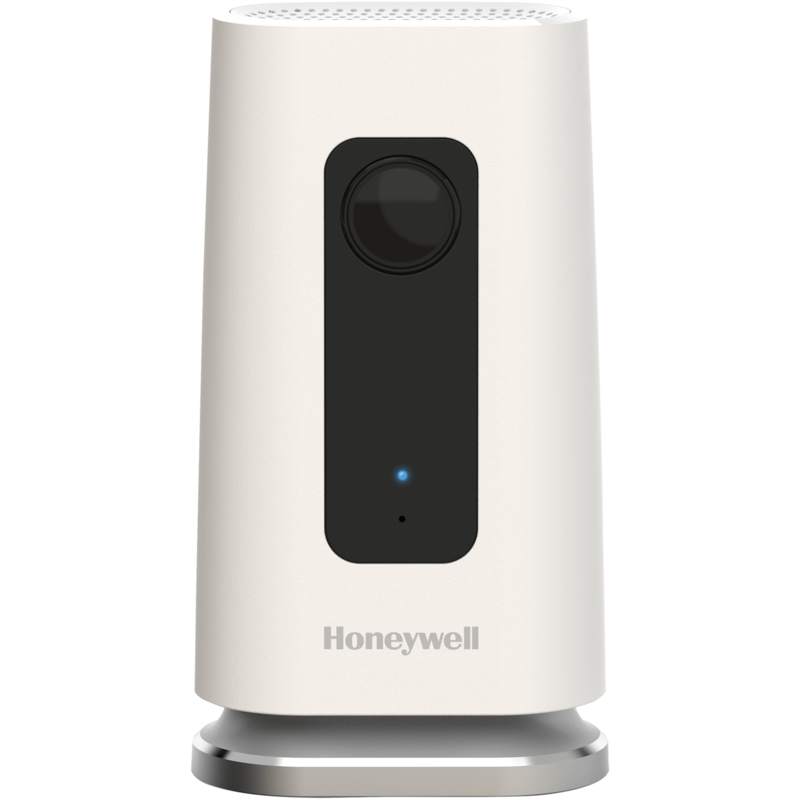 Wireless home system with perimeter and interior protection. Advanced and reliable devices using secure wireless technology. Full color 4.3” touch-screen security panel with intuitive prompts for easy operation. Wi-Fi ready with Two-Way Voice speaker for easy communication with the Doyle Response Center. Package includes door/window sensors and pet immune motion detection. Total Home delivers all of our available features for one low price – unmatched peace of mind for your property. Next Generation 7” responsive full color touch-screen display with Wifi, Z-Wave Automation and voice control built in. Two-Way Voice ready. Built-in front facing camera for user verification. Feature-rich platform allows you to easily add smart home devices at any time. Package includes door/window sensors and pet immune motion detection, 720p wifi camera, z-wave deadbolt with multiple color options and z-wave lightbulbs for remote system control. Includes full access to Doyle Total Connect system control app. High-definition indoor camera with clear, crisp video recording for viewing on Doyle Total Connect. Records up to 7 days of video in 30 second increments triggered by sound or motion. Built in microphone and speaker allows communication to and from the camera from anywhere in the world. Features a wide-angle lens with 720p quality at 30 frames per second. 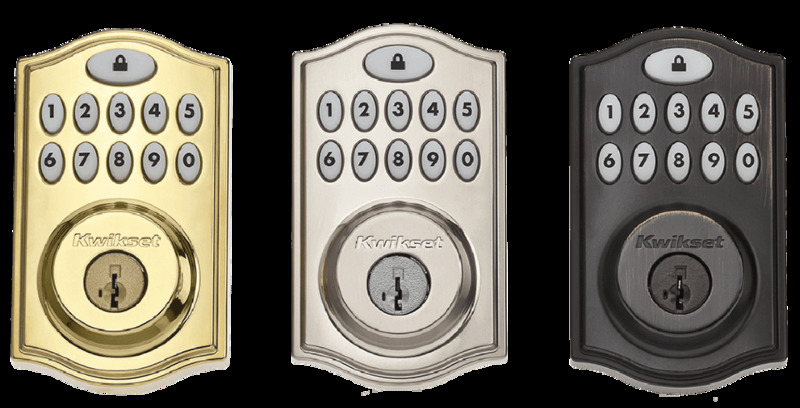 Z-wave lock made by Kwikset. 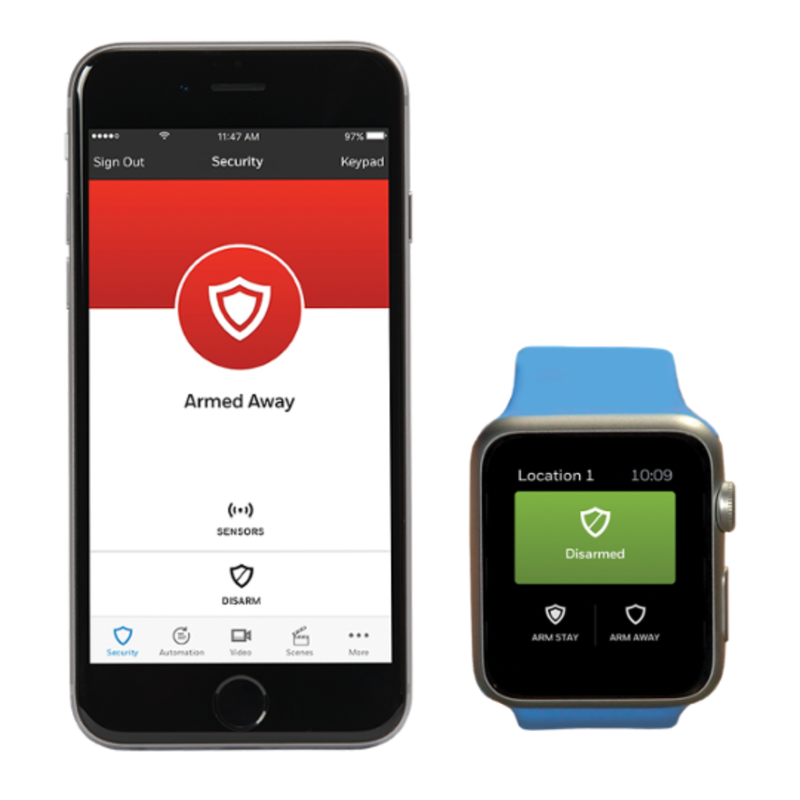 This durable and visually appealing deadbolt can be controlled from anywhere with the Doyle Total Connect App. Comes in venetian bronze, polished brass or satin nickel colors. Able to store up to 30 user codes. No key necessary. 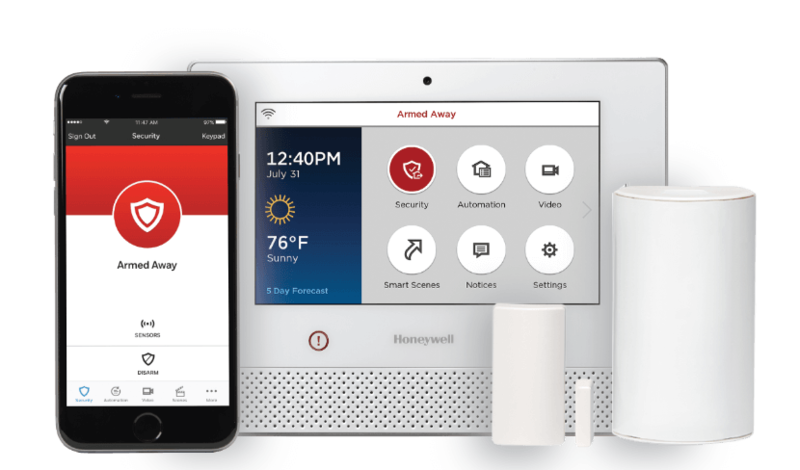 All essential features plus upgraded equipment with access to Doyle Total Connect for remote arm, disarm, and advanced notifications. Next Generation 7” responsive full color touch-screen display with Wifi, Z-Wave Automation and voice control built in. Two-Way Voice ready. Built-in front facing camera for user verification. Feature-rich platform allows you to easily add smart home devices at any time. Package includes door/window sensors and pet immune motion detection. Includes full access to Doyle Total Connect system control app. 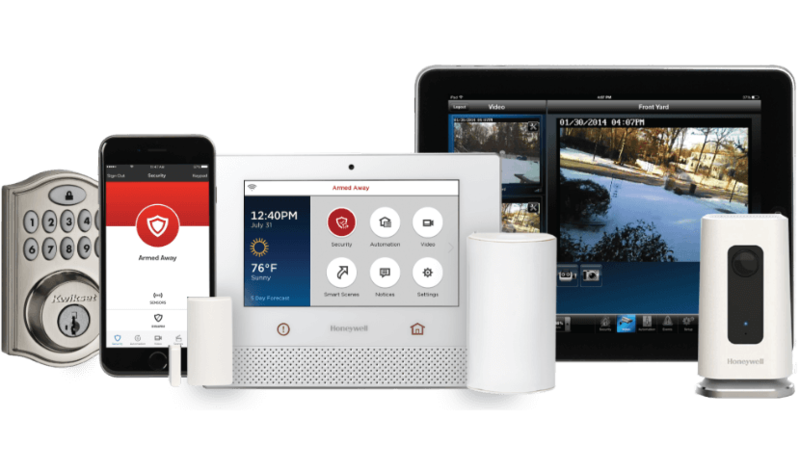 Easily control all security, video and smart home features from your smart device. Compatible with iOS, Android, Google and Desktop platforms. Remotely arm and disarm your system. 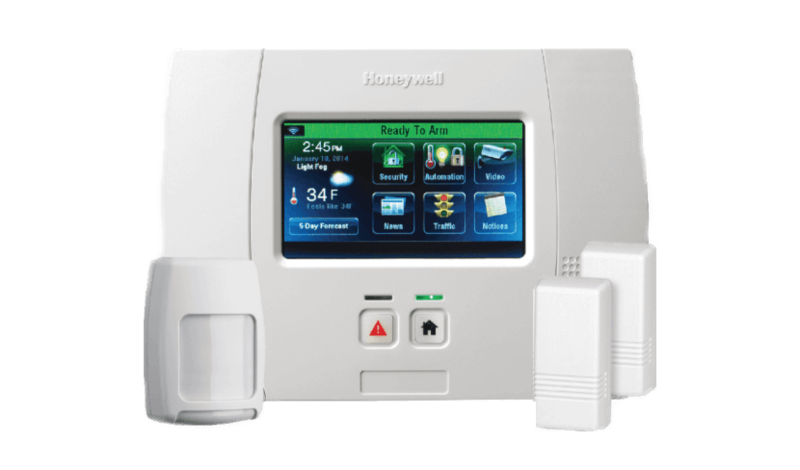 Instantly control locks lights and thermostats. Customize notifications, stream video and adjust settings on the go.